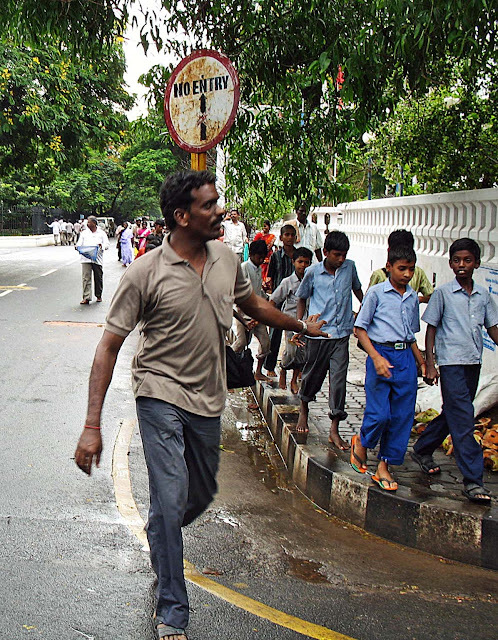 These are photographs of urban children going to school. 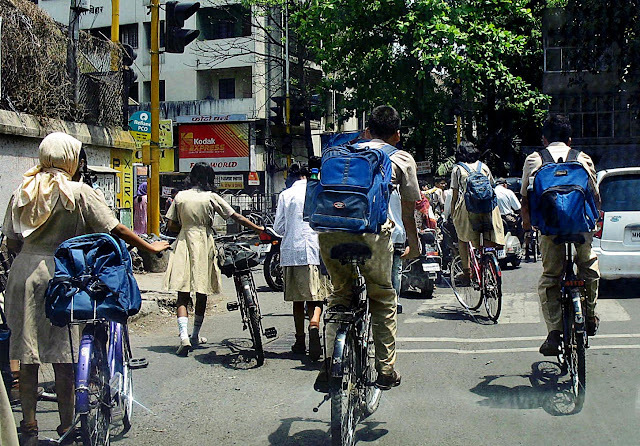 This image depicts girls and boys riding bicycles to school in Pune. 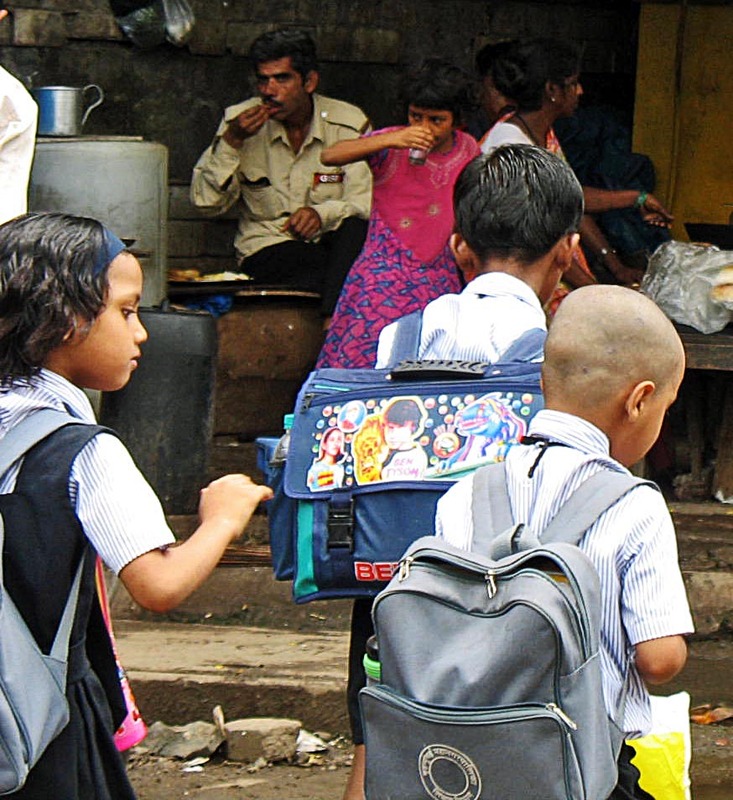 These children are children from middle class families in Pune. 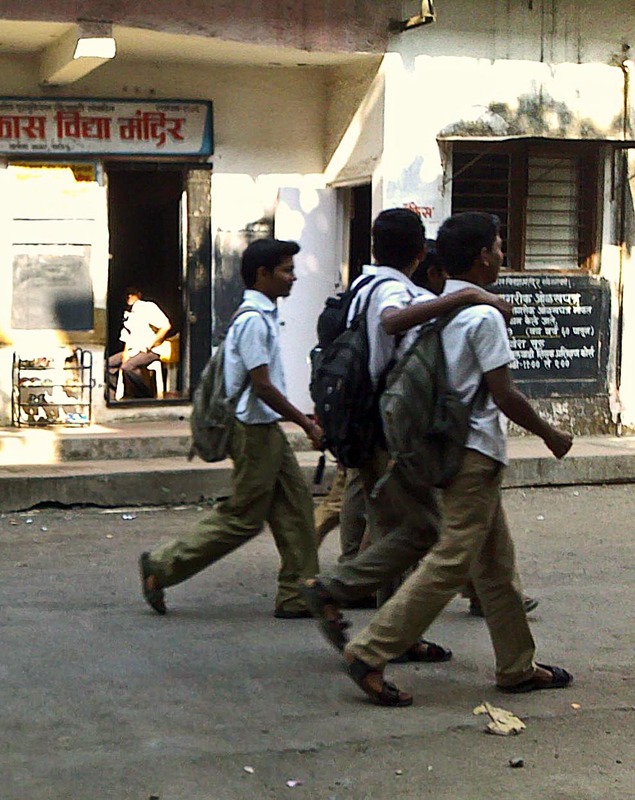 This photograph was taken outside an elite school in Mumbai. School has just got over and the children are trooping out. 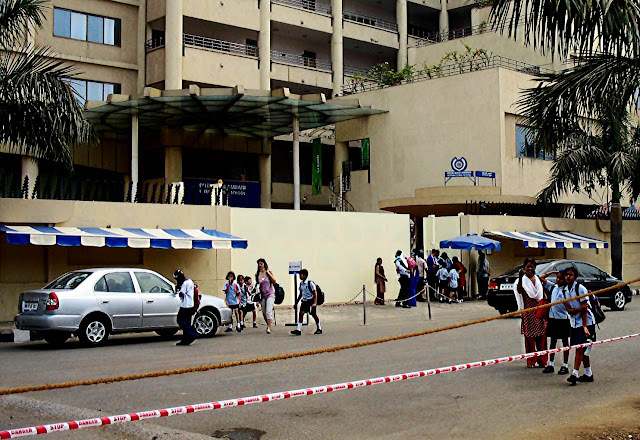 Children usually travel by school buses or cars. 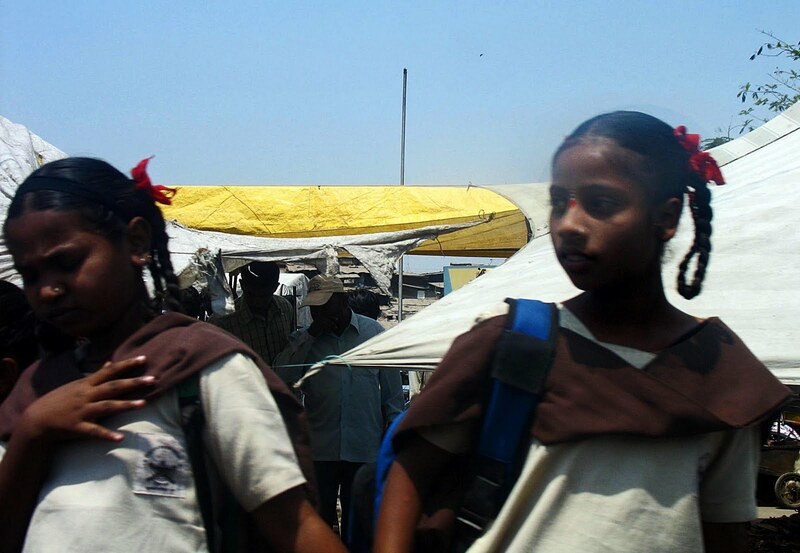 The rest of the photographs show poor children from municipal schools. 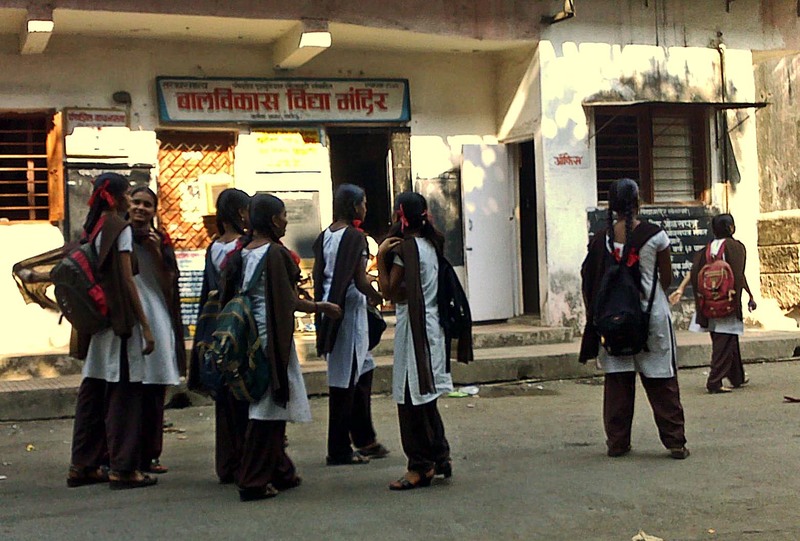 Here are a group of young girls standing in front of their small municipal school in Thane. These are boys from the same school. These are school girls in Pune waiting to cross the road. These are a group of school kids being taken by their teacher for an outing in Puducherry in Tamil Nadu.